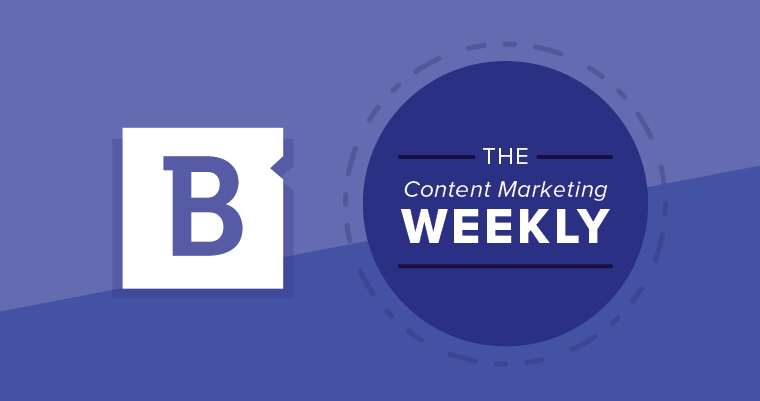 Content Marketing Weekly: What impacts your content marketing strategy? Content marketing is one of the fastest-changing industries today – and certainly is far from dead, despite declarations by those less informed. In fact, not only are brands shelling out more to support their strategies, they’re also seeing the beneficial results of those investments. Overall, 57 percent of respondents to a Content Marketing Institute survey said they’re planning to boost their content marketing spend this year, and another 55 percent noted their efforts are noticeably more successful, compared to where they were a year ago. One of the trickiest parts of content marketing, though, is the fact that it’s incredibly agile. Marketers that don’t keep up with the times and instead leverage outdated and irrelevant approaches aren’t doing their companies – or their audience – any favors. Readers are more informed than ever, and will certainly notice if you’re doing things like keyword stuffing (omg please stop) or ignoring the preferences of your target audience. In order to help you keep pace, we’ve gathered some of the latest updates and changes that will impact your content marketing strategy this year. Eyes up, people – let’s see what’s in store. Everyone goes through hurdles with their content marketing approaches. Some things will work for a certain brand’s audiences, and other initiatives might fall flat – but even your misses can provide valuable lessons to apply to your strategy. In a piece for Business2Community, Amy Koski describes the story of tech firm CommVault, and how its lack of data-driven decision-making and market intelligence resulted in a “fast and loose” approach to content marketing. Dawn Colossi, CommVault’s Senior Director of Digital Marketing, found that the organization wasn’t providing enough top-of-funnel content, and that even when the marketing team did target its ideal audience, it wasn’t sending the right messages at the right time. All of that changed thanks to analysis of buyer intent data, which helped support the insight CommVault needed to shift its strategy in the right direction. By now, we know that understanding your audience is like, step one in the content marketing playbook. But taking things deeper by studying buyer intent signals – the needs and preferences of those actively searching for the brand’s solution set – will ensure that messaging is actually aligned with your audience’s needs, and that these messages are delivered at the right time. Check out more, including a video interview with Colossi, here. Content marketing is multifaceted, and understanding the ins and outs of social media engagement is just as important as sending the right messaging to your prospects through written content. Informing these efforts and ensuring that your social media followers are interested and actively engaging with your brand can be an uphill struggle. Reach, or the number of unique accounts that saw your post. Impressions, when a post appears in a user’s feed. Link clicks, when a user engages with an external link included in a post. Social referral traffic, or traffic that starts on social media and leads to your site. Optimal days/times for engagement, the times or days during the week when your social channels see the most activity from your audience. Other KPIs that made the list include classic elements: likes, reactions and favorites, shares and retweets, audience demographics, and comments and replies. As author and Perficient Digital Content Strategy Director Mark Traphagen pointed out, though, chances are good that brands won’t need to track all 12 metrics, but should instead focus on the ones that mean the most to them. Check out the list here to read more. Bringing things full circle, we wanted to take a look at not only the elements that will impact your strategy this year, but also how your improved content marketing efforts can affect the rest of the business. More sales thanks to nurtured relationships. A full 50 percent more, in fact, and at a 33 percent lower cost. Higher conversion rates. Content marketing can result in six times higher conversion rates, when compared to other marketing strategies. Showing prospective customers who you are. Studies show that more than 60 percent of your prospective audience isn’t aware of your brand yet, but content marketing can help you bring that number down considerably by offering valuable information to these prospects. Think of it this way – more than 90 percent of people visiting your site for the first time aren’t ready to make a purchase, but content marketing can help put them on the right path. Check out Ionides’ other insights in this Entrepreneur article. Now, get out there and make an impact!